Want a more convenient way to charge or sync your smartphone on the desk? 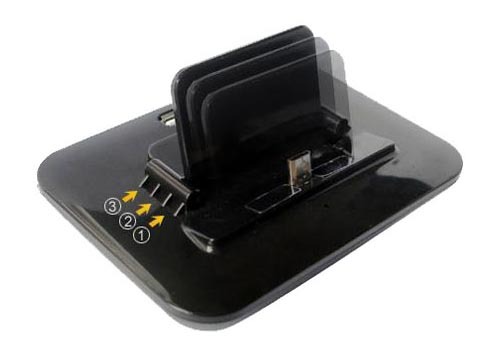 Take a look at the universal docking station with USB hub, the USB device may be able to meet your requirements. 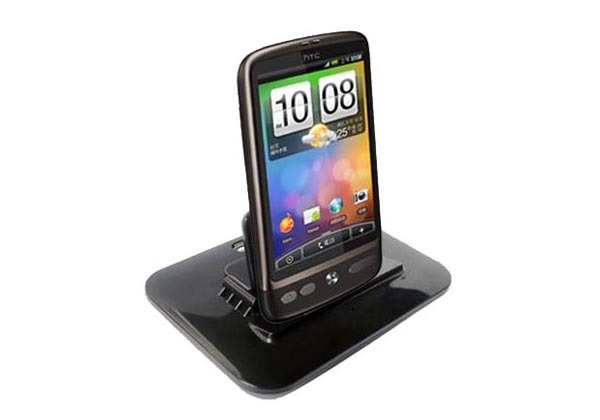 This is a multi functional docking station designed for various smartphones using micro USB connectors. As we can see from the images, the docking station features portable design, and comes with an adjustable cradle in order to hold various smartphones with or without protective cases including HTC, Motorola, LG, Blackberry, Nokia, Samsung phones such as Samsung Galaxy S3. Using accompanying USB cable, you can connect the charging dock with your computer for charging or syncing your smartphone. Apart from that, the docking station also features a 3-port USB hub for your USB gadgets. The universal docking station with USB hub is priced at $21.99 USD. If you’re interested, jump to USBfever online store for more details.